How to set my account DP / avatar ? 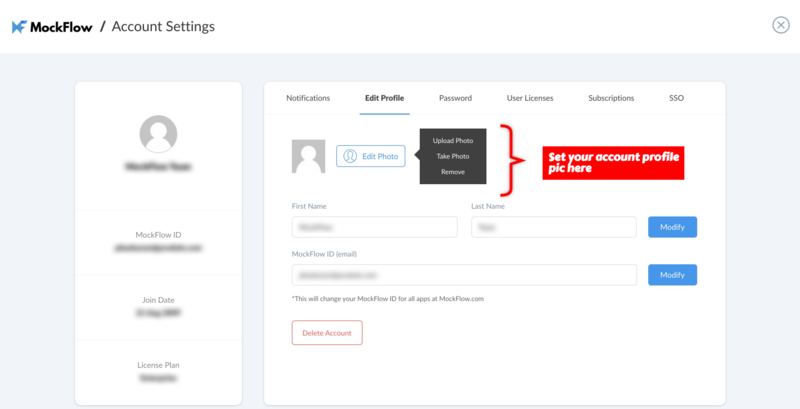 Set your MockFlow account's profile picture from account settings. There are options to upload your pic or take an instant photo using your webcam. Your DP is prominently displayed in the top-left corner of your MockFlow dashboard and also it is shown when users share with you or when you share projects with others. And wherever in the app, collaboration comes into place, your avatar helps to easily distinguish your presence.